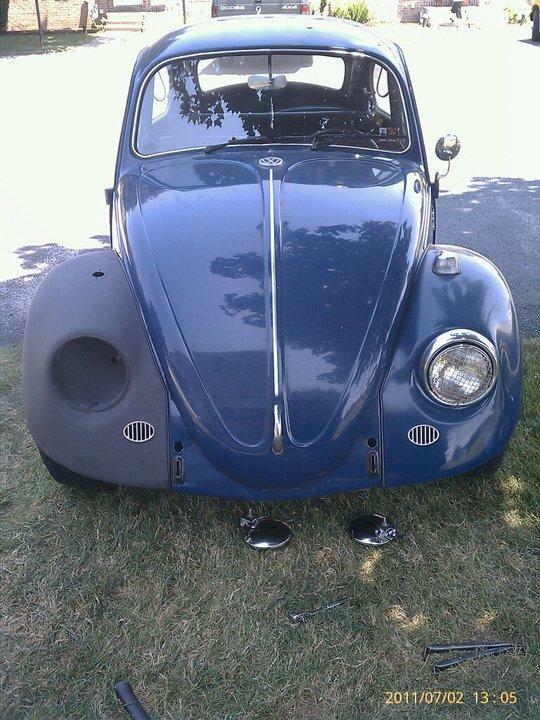 Are My Vintage VW Front Fenders German? 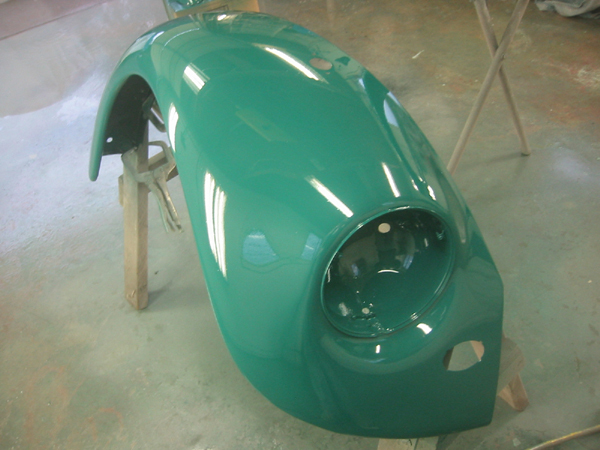 Not a week goes by here at 1967beetle.com without someone sending photos of their vintage pride and joy, fresh from bodywork and paint. More times than not, their car has an aftermarket front fender. 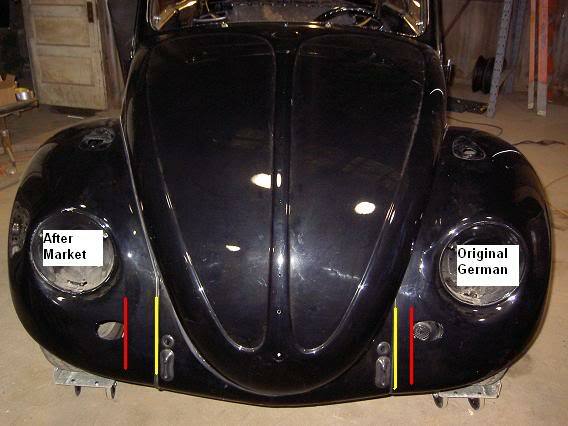 If you didn’t know, the ’67 Beetle front fenders (German) are another one of those fantastic one year only items. If you look at the vintage market, you’ll see plenty of folks claiming, “high end restoration.” However, (sadly) people often use cheap parts for max profit. The power is being able to tell the difference. 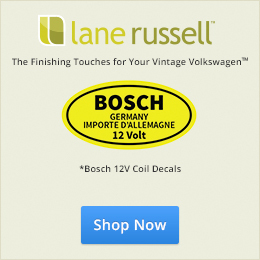 I’d like to explain how can you tell if you’re dealing with genuine German VW metal. Let’s discuss below, with photos to help illustrate how simple the difference really is. I’d love to know how many readers actually go outside and look at their cars after reading this. This is by far one of the easiest ways to distinguish the real deal from aftermarket. 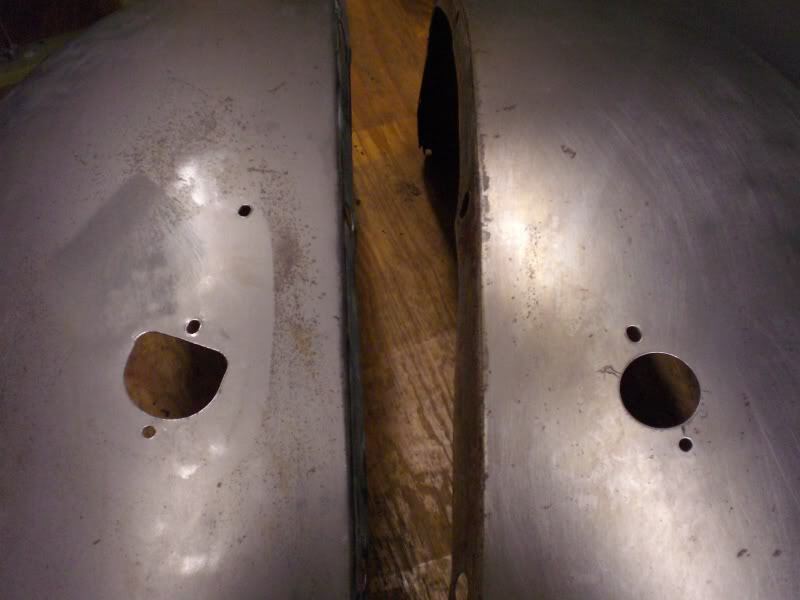 On the right we have a genuine German VW fender. If you remove your top turn signal assembly, the hole punched should be round. On the top of the hole, if you looked close enough you’d also see that the fender is stamped with a VW logo mark. Over time, these are often worn away. However, they are there from the factory. Also, the metal of German fenders is much thicker. 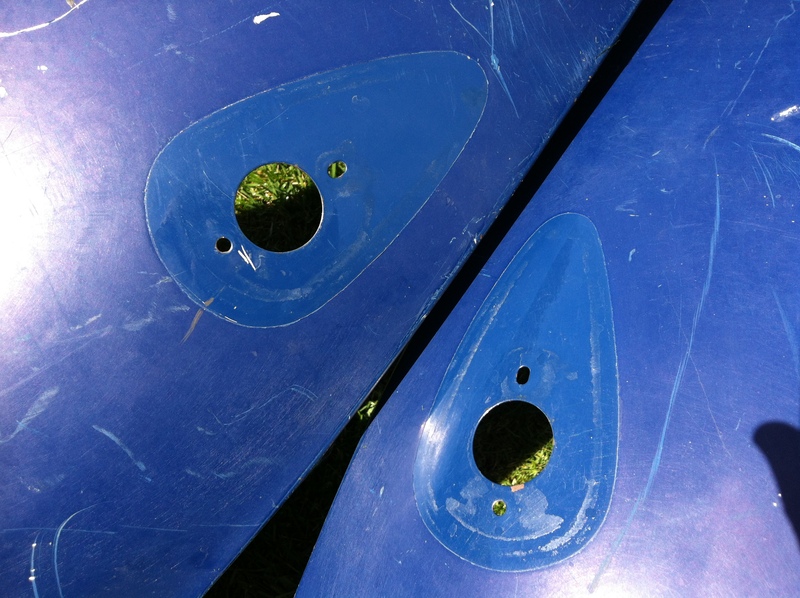 On the left, we have an aftermarket fender with a goofy oblong hole. Why the folks making these did not use proper tooling to produce something that matches an OE fender is beyond me. Alright, this one is even easier to spot. Go outside and take a look at your ’67 Beetle. Do you feel a calm balance? Or, is something just not right? If you feel a bit drunk, not to worry. It’s not your fault! It’s because your ’67 has an aftermarket fender where the horn grills don’t match up. This is always very easy to spot, once you know what you’re looking at. There’s a “two finger rule” between the section of the horn grill and the body. I’m sure a reader of 1967beetle.com will be able to point out the exact measurement, as I don’t have it at the moment. Let’s look at some photos, left to right. In closing, of course there is a need for aftermarket parts. It’s not like these cars are being produced anymore. However, I still wonder why proper tooling can’t be used to produce parts that are as good as OE quality. Obviously, there is a market for it. I’d love to get your feedback. 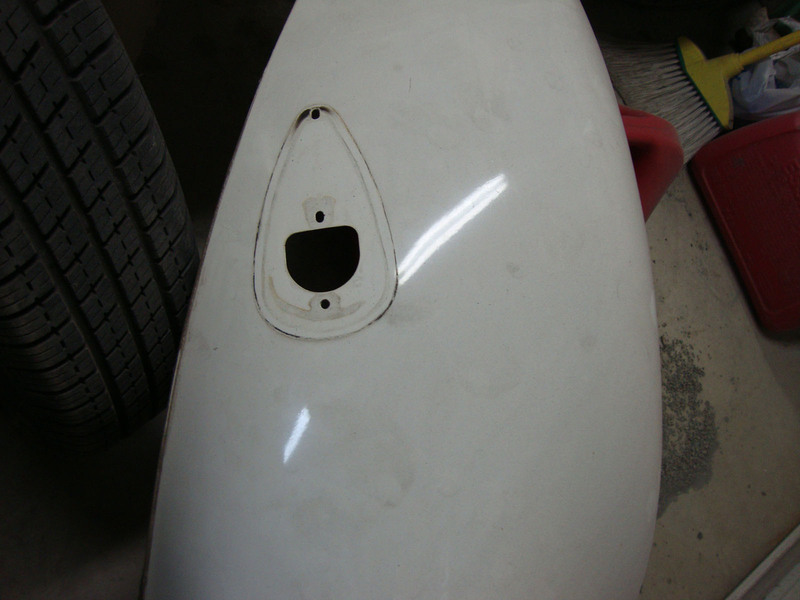 If you do find you are dealing with an aftermarket fender and you can’t sleep at night, they do pop up now and then here at 1967beetle.com. Feel free to email if you need help. In the future, we will talk about the rear fenders and what key things to look for in a German fender. Thanks Eric, this fact really helped me in my search. You are a true resource! Sure! An aftermarket fender also usually indicates an accident, which I’m happy you also avoided. Now how about the rear fenders?! I’ll get to those. The easy way to tell is, they should have drain holes under the bend, so water can move as needed. Just another area, thanks to Eric and 1967Beetle.com, I have discovered where an “aftermarket” product has been used on my ’67! 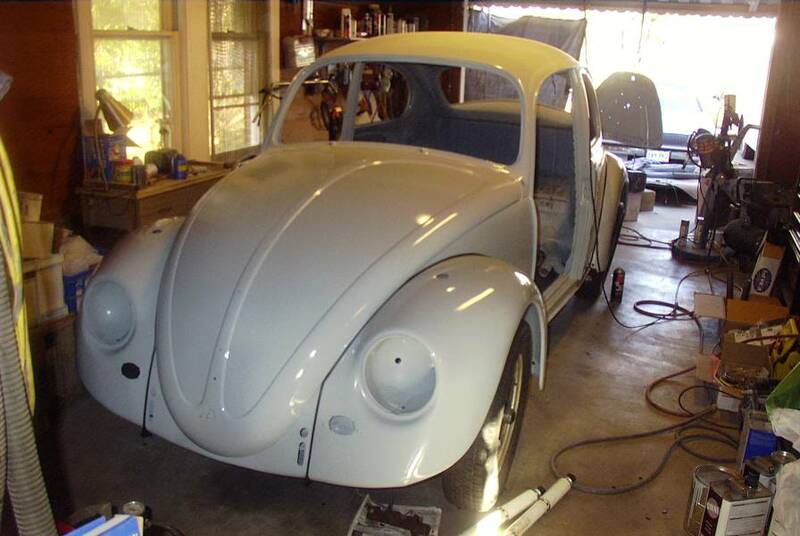 I pretty much have determined all four fenders and the trunk lid are after market! And, I was made painfully aware of a previous accident when I had to replace the front axle beam and tie rods which explained the use of those “aftermarket” parts! But, “Papa’s Sligbug” still has enough OE to be registered as a ’67, cruises nicely thanks to its aftermarket 1600 DP motor and stops on a dime thanks to the “aftermarket” disk brakes on all four wheels! My point is, for me, I just have to deal with it because “Papa’s Slugbug” and I have become one! We are just thankful to be together enjoying the experience! 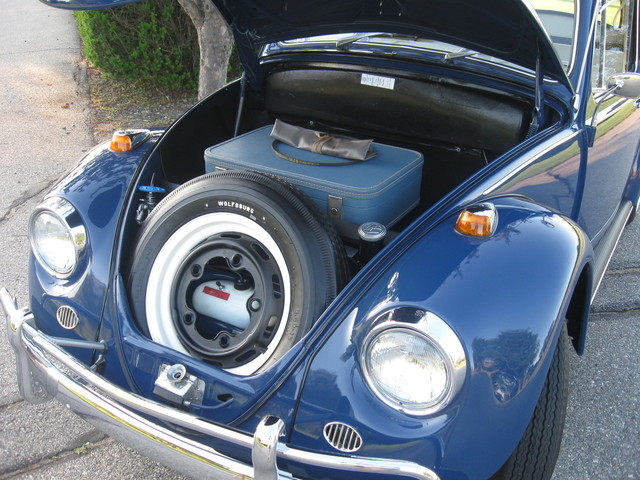 I, however, do add, or replace “aftermarket” parts with OE whenever it is practical and cost effective; Sapphire V Radio, Stabilizer Springs (both found through 1967Beetle.com), braided fuel lines, Bowden Tube and soon my doors with vent wings (TheSamba)! I love my ’67! Like Eric said, and I absolutely agree with, I am thankful for “aftermarket” parts, but also wish they were of better quality and mimicked OE! “Papa’s Slugbug” would probably not be on the road today if it were not for “aftermarket” parts! I like the many pictures you use to make your point. 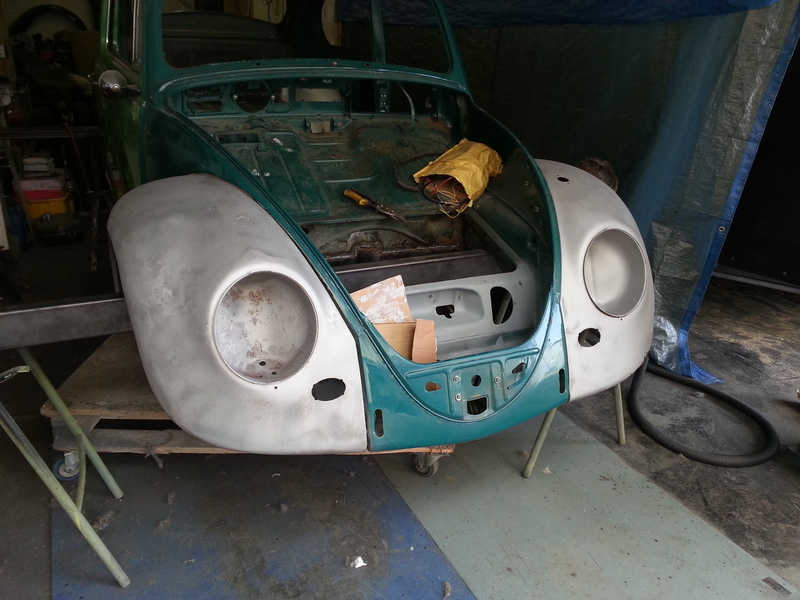 Seeing all those beetles in various stages of restoration makes me glow warm. Kudos to all you folks out there that have an interest in these old cars. I don’t drive a 67 but have a Canadian Custom 66. I purchased it from my Mom in 1971 for $400.00. She passed in 2012 and whenever I take the 66 out for a spin, the memories come flooding in. Keep up the interest folks, it’s well worth it. You are very welcome. And, your Mom looks down with a smile. Great stuff Eric,, once my LF aftermarket fender was pointed out i couldn’t wait till it was replaced with a OG fender. Totally agree, Why mfg of repro parts choose to make them incorrect. Mind boggling. Thanks! I am still amazed that these fenders are produced to such crap tolerances. If only VW would take more an interest in these old cars. Imagine if try were made again. Is anyone else in the space producing a quality fender? I’ve seen some of that funky green metal. Thanks, I have a 67′ fender on top of my garage, gonna check her out! Now I know what to look for! Thanks Eric! Let us know what you find! I’m betting it’s aftermarket. Hey all. 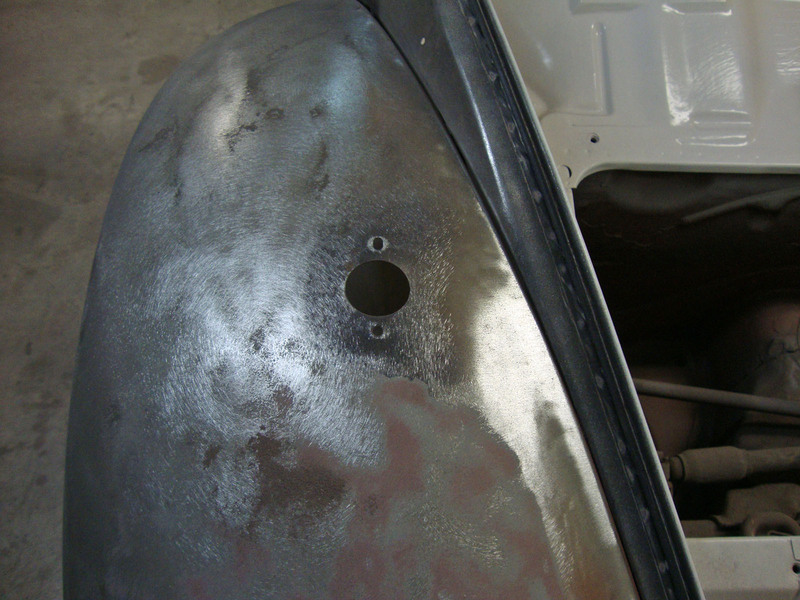 In my 65 project, the holes for the turn signal holes are off set. 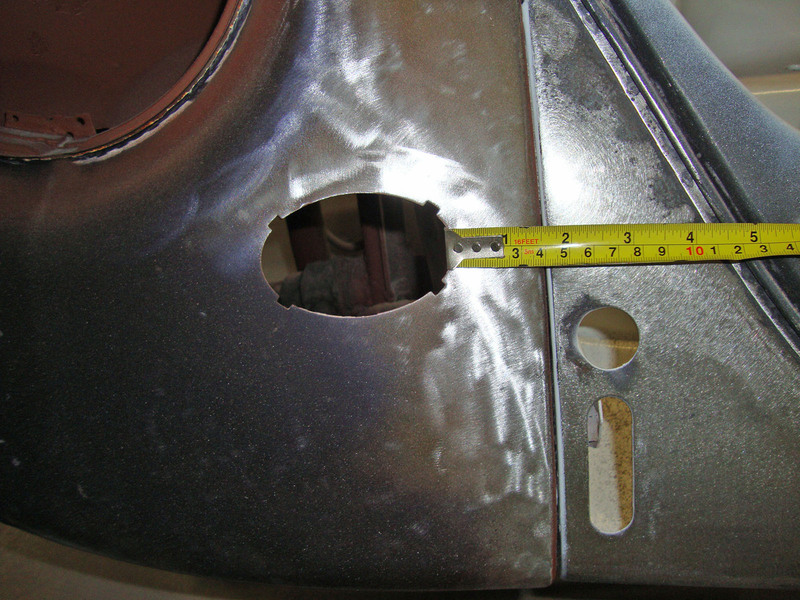 If I measure from the front of the hole to the headlight bucket there is a significant difference. Eric, I will Email you photos. I thought you could also tell the difference of German and after market fenders from weight and how the metal curls up on the edges. This may be like changing the course of a river, but I’m going to try! Some VW history must be told to lay the groundwork. 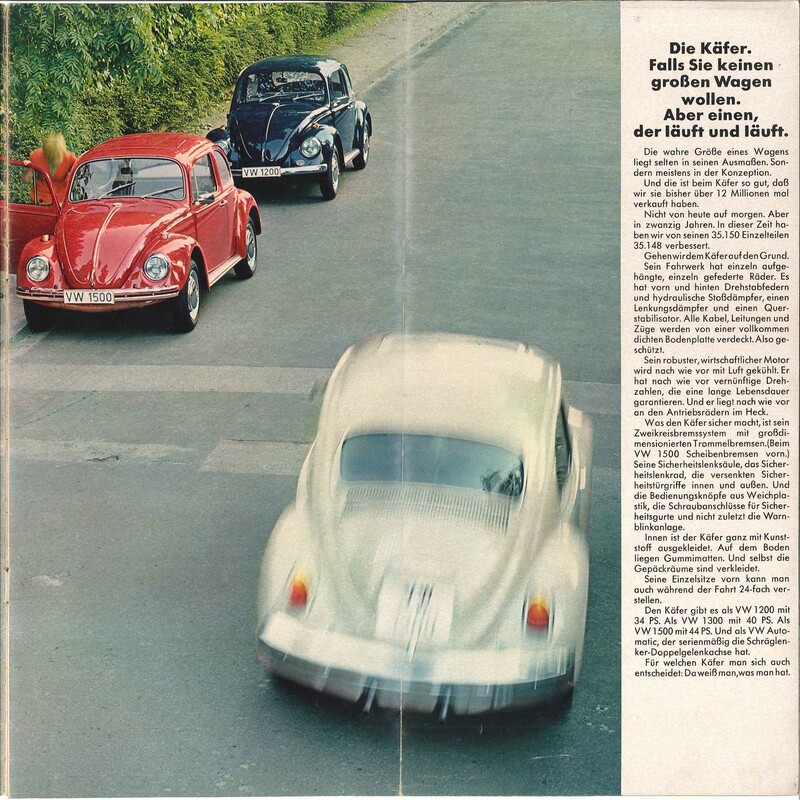 From 1968 to 1972, for the European market VW produced a basic or standard Beetle called the Economy Beetle. It featured the old style, low mounted bumpers with brackets that exited the front apron just like the earlier version. Most importantly, they still had horn grilles on the front fenders, but the VW stylists moved them out to a four finger distance from the beading. These front fenders are identical to a US ’67 with the exception of the horn grille being moved. Note: Unlike the one-year-only US ’67 Beetle, these cars were produced for a full four years. When VW ran out of their supply of original style ’67 US only front fenders in the early 70’s, they did not go to the expense of producing an identical fender for such a small and limited market, (remember the Econo Beetle on the other hand had a four year run, and a potential for a much greater market and need for replacement fenders), so this type of fender is what they began selling at VW Dealers as a Genuine replacement part for a US ’67. If you went to buy a fender from the dealer in say ~1978 on, this is the type you would get. Great info! Yes, I’m aware of them. However, they still had a round turn signal hole; where as aftermarket has the goofy oblong hole. All these key bits of info should really help our readers. Kudos. Let me correct myself. I said I was “aware” of them. However, I’ve never seen one in person. The same rules apply to the differences I know between German and Aftermarket. I believe I published a mention of the other fender version a few years ago. Jay. Thoughts? I don’t have other research to back this up. Bummer! It’s too bad they make them that way. They are still in production currently and are junk. Hi Guys, sorry to have not responded this sooner. 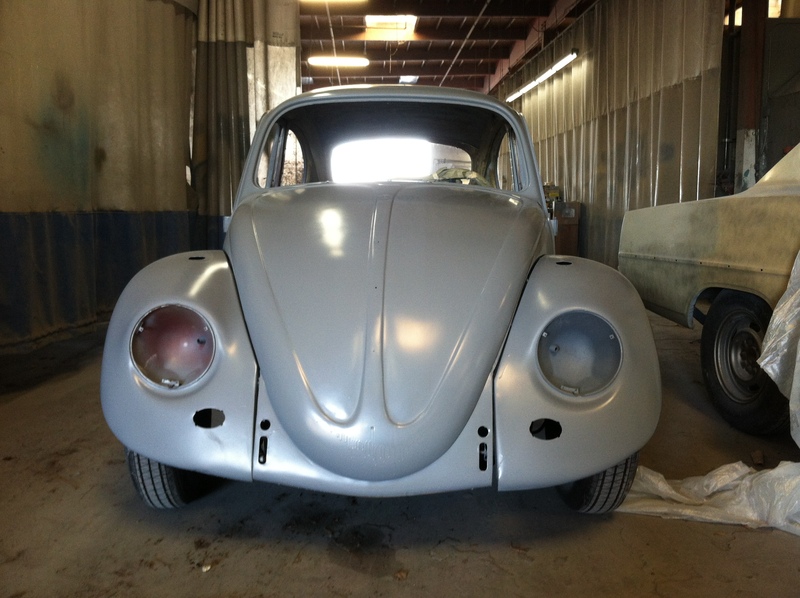 Eric’s recent post is TheSamba re: Larry’s ’67 resto http://www.thesamba.com/vw/forum/viewtopic.php?t=495269&start=140 drove me to look further into how to explain my position. 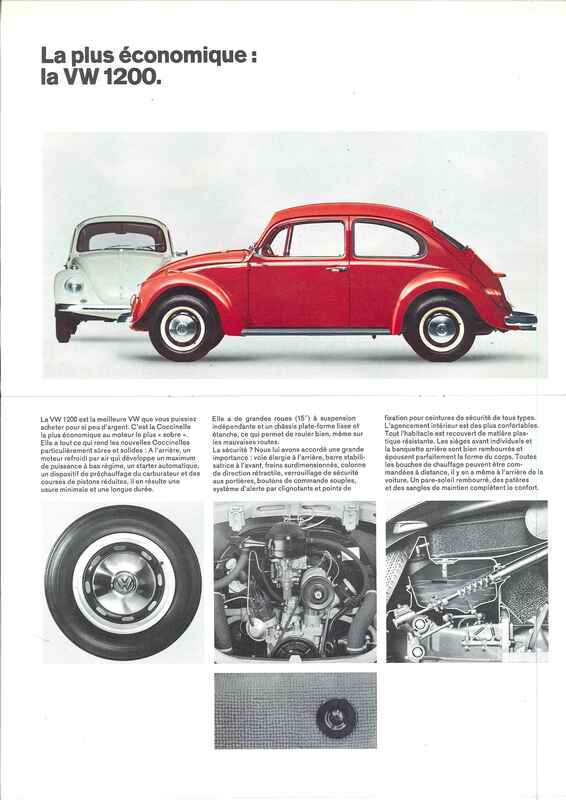 I do know for a fact that in the late ’70’s when VW dealer warehouses ran out of their supply of aftersales replacements for the unique and one-year-only US spec 1967 front fenders, they did not go back to the production line and re-stamp any as that would never make economic sense. Car makers don’t do this. What they did was to supersede them to what we now know as the near identical European 1200 front fenders.. Proof of the story is I have two life long VW friends who began their careers as body men during that time, both still active in the hobby, and each will testify during that era, when you went to the VW dealer for a Genuine German replacement ’67 front fender, this is simply what you got. That said, I don’t dispute the fact that there are poor quality aftermarket replacements out there, but same as the factory, for it to be economically practical for the aftermarket to tool up and make a replacement fender, they would have to be able to estimate sales of 100,000 or more. Could they make this projection if the fender would only fit a 1967 one-year-only US car? No. Could they make it work if there was a World wide, 1967-1972 five model year span of potential customers? Yes. I have original fenders ,they are a Lil rough but I believe them to be in good shape, the have those strange Lil holes on the front where tell classics had thone tiny chrome grill holes ,I have no desire to throw them on my 2 74′ or my 68 ,because then those cars will not be original, what should I ask for them? I know this is an old thread, but I’ve recently acquired another 67 after searching for many years (my second genuine German built 67, RHD, Ruby Red & Black interior,1500 Deluxe) out here in Australia. As some of you might know, the European RHD version always had the sloped headlights. I prefer the American spec. I’m looking for a set of 2, original paint with no repairs, mint condition, genuine US spec front fenders to import back to Australia. I have a contact in California these can be sent to, and after being ripped off a few times with the “bait & switch” method on theSamba buying smaller items, I’m not keen on using that site for this particular purchase. If anyone can help me out, please email me at littlegreenmen_ent@hotmail.com. Thankyou & greetings from Australia. Hello, Dave…The Deluxe Style front fenders are pretty rare. 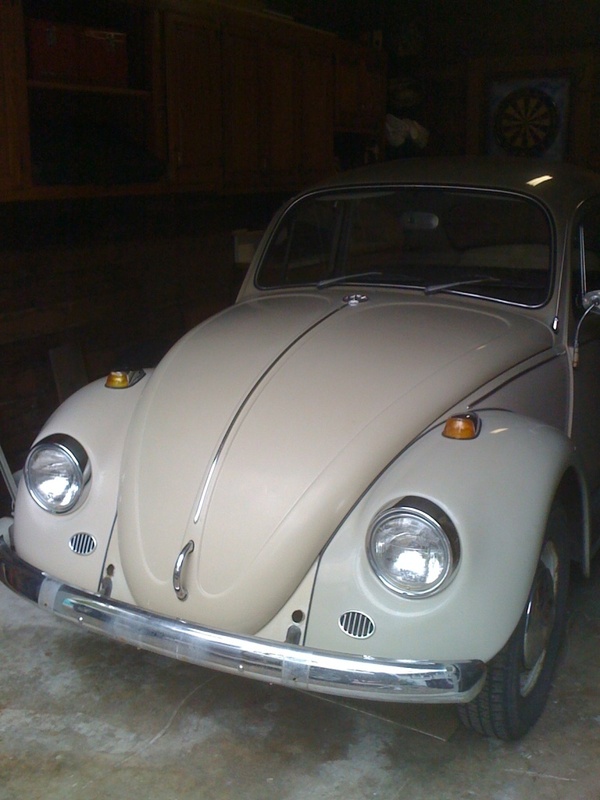 In mint condition with original paint–you’d have to steal them off someone’s prized Beetle. LOL No kidding! They are that scarce. 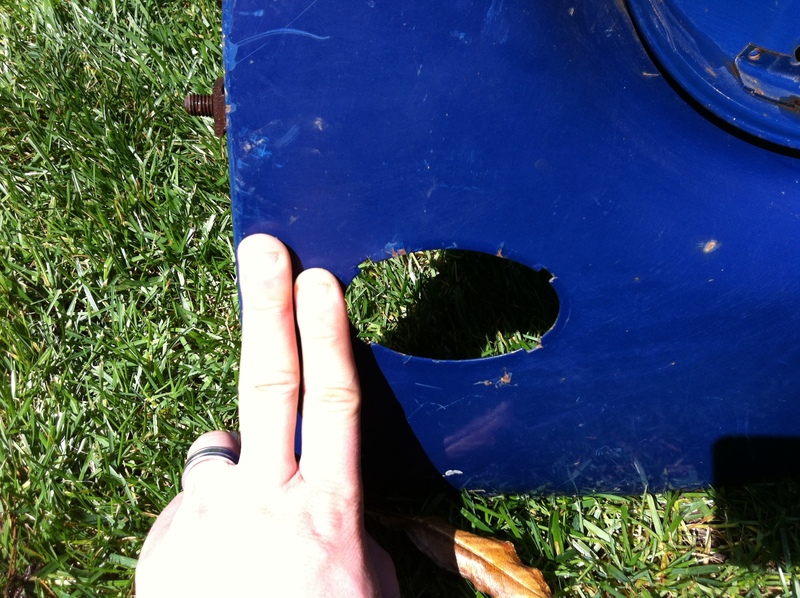 Just a front fender for a ’67 can cost $300 USD–good condition. Thanks Jay. I’m sure I’ll be able to find a pair somewhere. I’ve tracked down much rarer parts than this before. 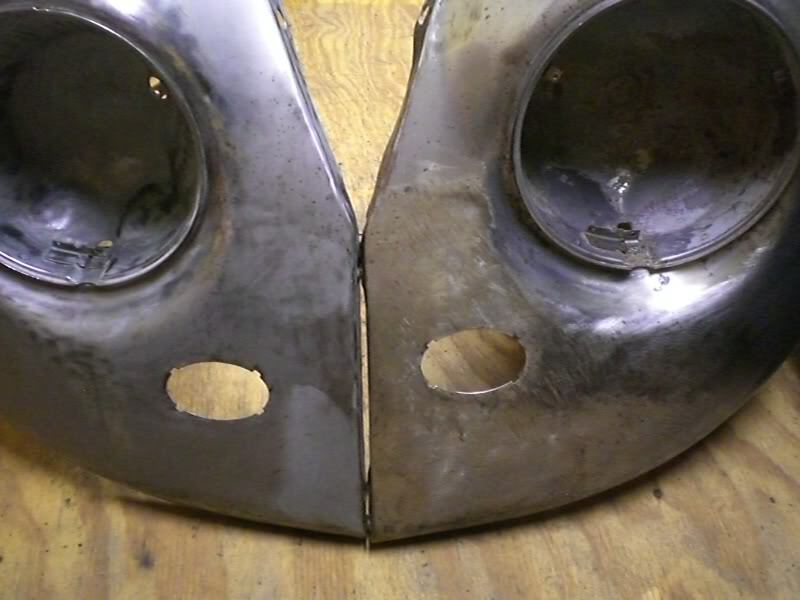 Obviously I could weld up & cut holes in a set of 68-70 1500 fenders that are plentiful over here, but that’s not really in the spirit of what this site is all about, which is a passion for authenticity with an emphasis on originality for a one year only car. Cheers.